It is a great pleasure it is to write to you this academic year. 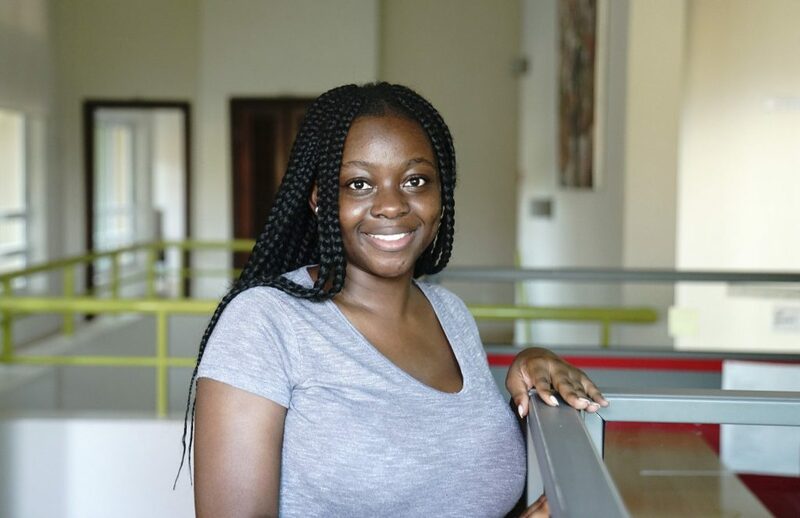 As you may well know, I am Sybil Meselebe, a Computer Engineering major here at Ashesi University. I am currently in my third year. I am a female Ghanaian who comes from the Western region of Ghana and resides in the capital, Greater Accra. I am the first born of my family and have a little brother who is seventeen years old. I studied general science in senior high school before coming to Ashesi University. I am the first of two kids of my parents and the first to attend university. This scholarship is a great opportunity for me to empower myself as a female while setting a great example for my little brother to follow. Words can never express the gratitude I feel towards being given the awesome opportunity to pursue an education like this one. Why Ashesi? I chose Ashesi because I wanted a great education, an experience of education where I gain the very best a university has to offer. Ashesi visited my senior high school and their value proposition gave me a solution to my need. I had to go to Ashesi. Before filling forms for the university, I had always wanted to go into Computer Science. I later chose to study Computer Engineering because I realized that the world around me was slowly evolving and I needed to ready myself for that evolution. Engineering gave me that option to be more than just a computer person and thus why I chose to pursue Computer Engineering. This summer, I interned here at Ashesi University with the Engineering Department working as a Faculty Intern. This was fun and at the same time very informative. I learned different approaches to things I thought I already had prior knowledge of in my quest to teach the freshmen taking the summer courses. It also opened my mind to the prospect of working in the real world. I did more than the regular 8-5 and I sincerely believe that with all the work I was able to achieve during this period I can take on any corporate job in the future. Right after my internship ended, I was recommended by the Dean of the Engineering Department to fill in for an engineering coach at the Ashesi Innovative Experience (AIX) summer program. This program was great! I polished my leadership and communication skills and made close bonds with fellow coaches, participants, staff, and faculty. I learned how to manage people I worked with and how to transfer information effectively to people. One thing I have learned in engineering is the field of electrical & electronic engineering, and more specifically, circuits and electronics. It is so interesting to learn how you can put components into a breadboard and connect it to a power source and have it work. With this new realization, I am hoping to further my studies by earning a master’s degree in Electrical Engineering.